Apparently, everyone is tensed for some or the other reason. For some, it might be their jackass boss. For some, traveling 2 hours staright to work might be the biggest pain. One thing remains constant though, the stress monster. 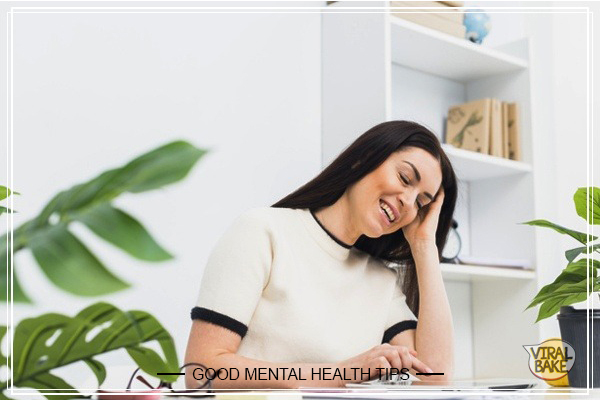 Before you know about good mental health tips, you should know what is affecting your mind in the first place. Your mental health is a delicate thing. It affects the way you behave, talk and perform everyday tasks. Sometimes if your mental health isn’t up to the mark, it may cause issues in your everyday chores. There are several factors that decide your mental health status. 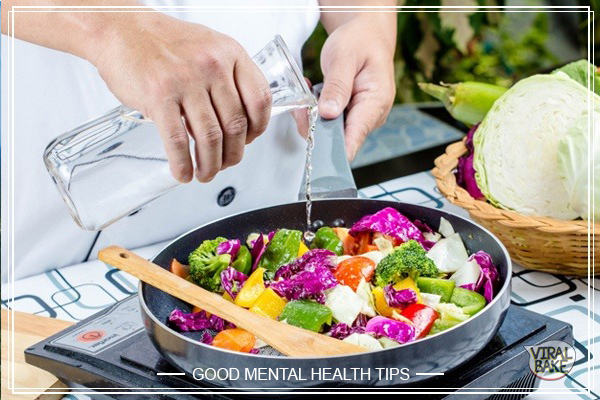 From what kind of food you eat to the physical activity you do, all that attributes towards your mental health. If you are a regular smoker, it is also affecting your mental health and you won’t even know about it. Besides that, if you keep suffering from physical illness, there is a chance that you will not feel mentally fit too. Your work environment also matters a lot. If you feel unhappy at your workplace, you will always feel agitated and stressed out. As a result, your mental health will deteriorate and you will always be in an irritated mode. So, what can you do? The answer is, you can follow some good mental health tips, that will save you from the neverending stress. I know office work makes your mind all blocked and stressed out sometimes. But, you can easily get back to being you by using one of the good mental health tips. Get up from your seat and walk around. Talk to your co-workers or even the office boy who brings you coffee. You would be amazed when you talk to other people and get to know that your stress is nothing compared to the problems others are facing. If you don’t have the habit of maintaining a journal, you should better start it. When you write something down, it calms down your brains and allows you to look at the situation from a different perspective. In turn, it can help you reduce the symptoms of stress. In addition to that, writing down will also enhance your concentration skills. One of the good mental health tips is that you should plan a small getaway after every fortnight or so. It shouldn’t necessarily be a long weekend. It could be a bonfire on your friend’s terrace or a drive to the nearby water park. Take your pick, but go out. This small break from the usual routine will boost your mental health and keep you happy. I don’t think anyone can be happy if he/she is sleep deprived. Never ever compromise with your sleep. Also, try and keep your room cool when you go to bed, as it helps with a night of deep sleep. Use fresh sheets which are of light color as it will soothe your skin too. This will ensure that you have a fresh mood when you wake up. Who knew cooking can be stress-buster? But apparently, it is. Even if you don’t know how to cook, no worries. Experiment with food, because even if you don’t end up making a Michelin star dish, you will find at least spend that much time not thinking about anything that will stress you out. As a result, you will either be happy with your dish or laugh it off, thinking what a bad cook you are. Also Read: Why Watching Crime Related Shows Are Awesome For Your Brain? 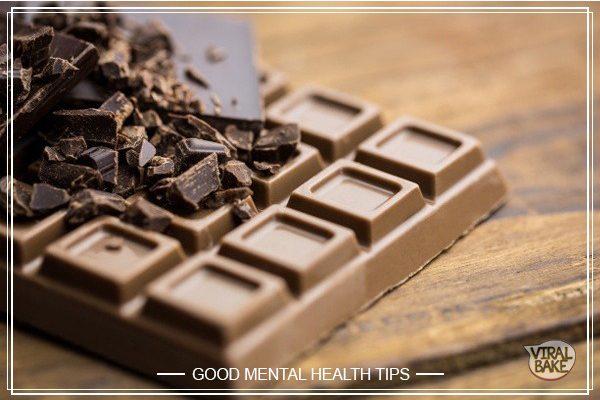 One of the good mental health tips is to consume dark chocolate when you feel really stressed. Consuming a cube of dark chocolate can provide you with caffeine, flavonoids, and theobromine that will improve your overall alertness. Also, consuming it after every few days will enhance your mental skills. Nature always heals. Which is why you can take shelter in nature’s arms whenever something is bothering you. Take a walk in the woods or go for a trek. You will realize that once you have nature all around you, you are happy. It will help you get back your mental balance and you will rejuvenate yourself in ways you never imagined. If you are stressed out because of a person, it the best time to watch a funny cat video and laugh it off. No matter how important that person’s place is in your life, you stressing out is not going to solve anything. 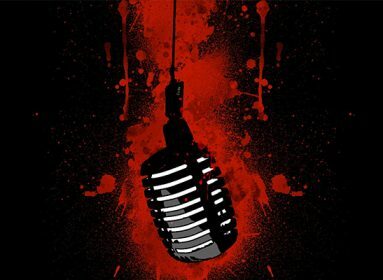 So, it’s better you stop thinking on the topic and divert your mind. This is the best gift you can give yourself. Try putting on your headphones or play music in speakers at home when you are doing your household chores. You will not only have fun but it will also work like magic in your mood. It is one of those good mental health tips that works instantly. Next time you have to clean the house play your favorite track and dance while you clean. Yawing is a natural phenomenon. But most of you hold it back thinking it might not be the best thing to do at work. But hey, it’s ok to yawn. You should know that yawning improves metal efficiency and helps your brain get the oxygen it is craving for. Stretch yourself and yawn with a full mouth, you’ll soon feel much better. Taking a warm shower is one of the good mental health tips you can follow every day. (Obviously not in summers) Taking a warm shower leads to stress leaving your body. If you want to take it up a notch and really get the best out of a warm shower, add bathing salts to your bathtub. The salts are known to bring back magnesium levels which gets depleted by stress. Ah, pets! 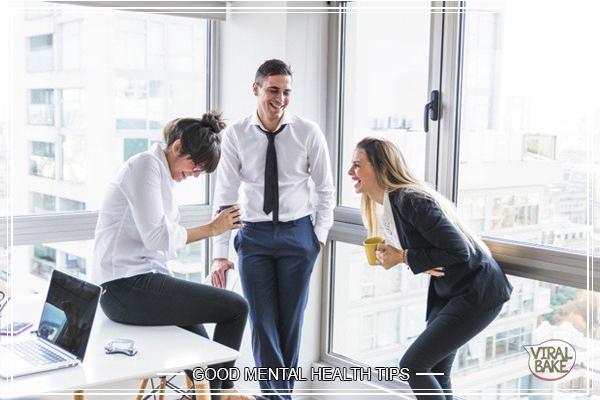 they can boost your mental health each time they are around you. They can be your best friends, guide and stress busters. Spending time with a fur-ball can enhance the levels of oxytocin in your body as well as lowers the stress hormone ‘cortisol’. Overall, they give you the feeling of happiness and that works more than fine on your mental health. 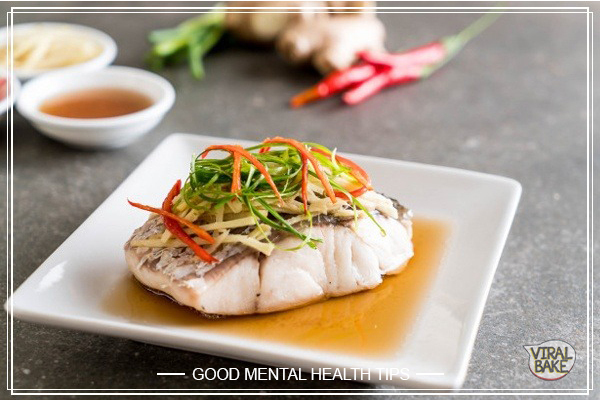 Fish are rich with omega-3 fatty acids, which are linked to decreased rates of depression and schizophrenia in people. Try eating seafood and fishes that are rich in fatty acids. 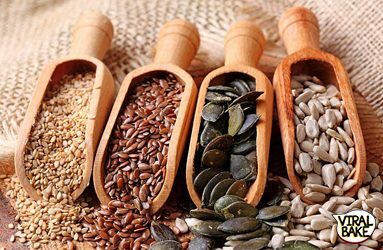 They will tingle your taste buds and also make sure that you are healthy and happy. Also, it will give you a chance to explore other cuisines you might not have tried before. The world is moving fast and it means that if you keep on holding to one thing, you are wasting your time. Others would go forwards while you will be stuck in the past. It’s better to forgive and forget as there are many things in life that you can do. Don’t waste time sulking as it will drag you into the depression spiral. Trying something new boosts up the adrenaline levels in your blood. It is one of those good mental health tips which you can test and try. Go for any adventure sports that you haven’t tried yet. It could be bungee-jumping, paragliding or even cliff jumping and then see how you feel. When you try something out of the ordinary, your brains become engaged in new experiences making you stress-free. 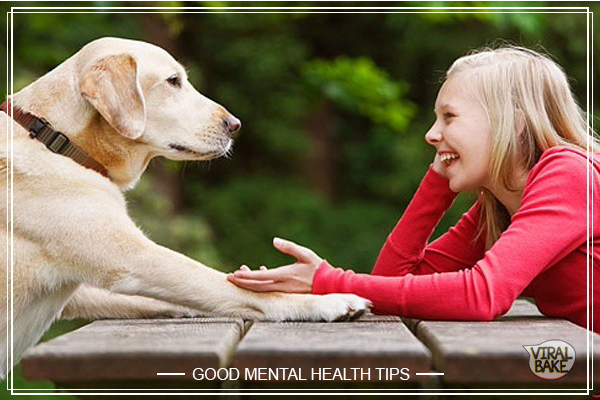 All set to follow good mental health tips? 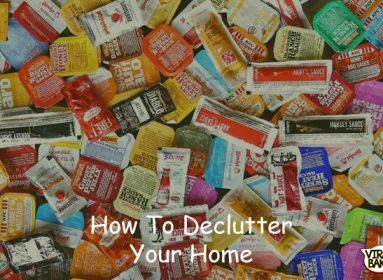 You have all the tips you need to keep yourself happy and productive. 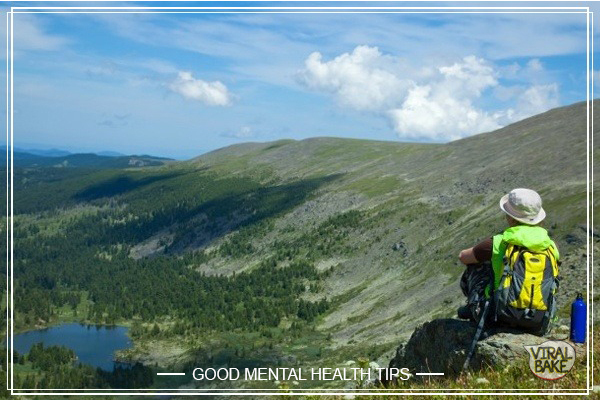 Follow these good mental health tips for a better state of mind and enhance your skills. You will realize and see for yourself that these tips help you lead a stress-free life. Follow these for a month and see the difference for yourself!